Synopsis: She expected to start Harkness College as a varsity ice hockey player. But a serious accident means that Corey Callahan will start school in a wheelchair instead. Nevertheless, an unlikely alliance blooms between Corey and Hartley in the “gimp ghetto” of McHerrin Hall. Over tequila, perilously balanced dining hall trays, and video games, the two cope with disappointments that nobody else can quite understand. I can't wait to read this book!!! I'm so excited about it and I LOVE the cover!!! Sounds amazing, looks amazing, bring it on! Synopsis: Catherine has spent her life being the perfect princess. She’s kept her hands clean, her head down, and most importantly—men at arm’s length. After all, most men are after only one thing, and for Cathy there’s a lot more at stake than her bed; she has to worry about the fate of an entire nation. But at the rate she’s going, Cathy is afraid she’ll give the Virgin Queen a run for her money. She is tired of waiting for someone good enough to come along. 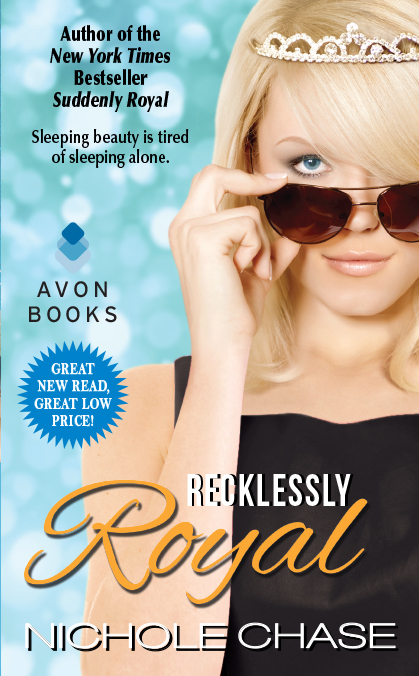 She has a plan, and it all hinges on seducing the one man who seems utterly unimpressed by all things royal. The one man she is tempted by more than any other . . .
Synopsis: Stella Ramsey always says bad boys can’t break your heart. They don’t call, don’t cuddle and don’t send flowers—but what do you expect? For Stella, no strings means no regrets. When the biggest story of her fledgling career as a music journalist nearly ruins her relationship with her best friend, Stella has one chance to redeem herself. Tyler Walsh could be that chance. Stella promises the bassist for the rock band Tattoo Thief anything in exchange for behind-the-scenes access. But Tyler doesn’t want anything. He wants everything—and that’s more than Stella is prepared to give. When Tyler’s explosive secret thrusts Stella into the media spotlight, she must choose between the selling the story and telling the truth—and exposing the truth about herself as well. Tyler & Stella (Tattoo Thief #2) is a sizzling story of lust, lies, and sacrifice, revealing how much love can forgive. Review: 5 Stars - Tyler & Stella is the second book in the Tattoo Thief series by author Heidi Joy Tretheway. Each title in the series follows a member from the rock band Tattoo Thief and this time around it focuses on Bass player Tyler Ramsey and music journalist Stella, both characters we met in the first title. So, I’m sure most of you are aware of the fact that I LOVED the first book and as you can see from my star rating I LOVED this one too! The peek that we were given into who Tyler and Stella was nothing prior to this title, the more I read this book and the more these two characters were uncovered, I realized that I knew nothing about this pair. Tyler is a bad boy and as it states in the synopsis he has his own fair share of secrets. Some doozys that’s for sure! I didn’t see any of them coming and I had some pretty huge ah-ha moments during their story. However who he turned out to be underneath it all I might not have seen coming but I so love this guy like whoa! Now for Stella, she didn’t have much of an effect on me other than wanting to smack her until later in the story. She had a key part in the previous installment that left this reader a bit on the angry side, it was for a huge wrong that she was the center of regarding her best friend Beryl and singer of Tattoo Thief Gavin. 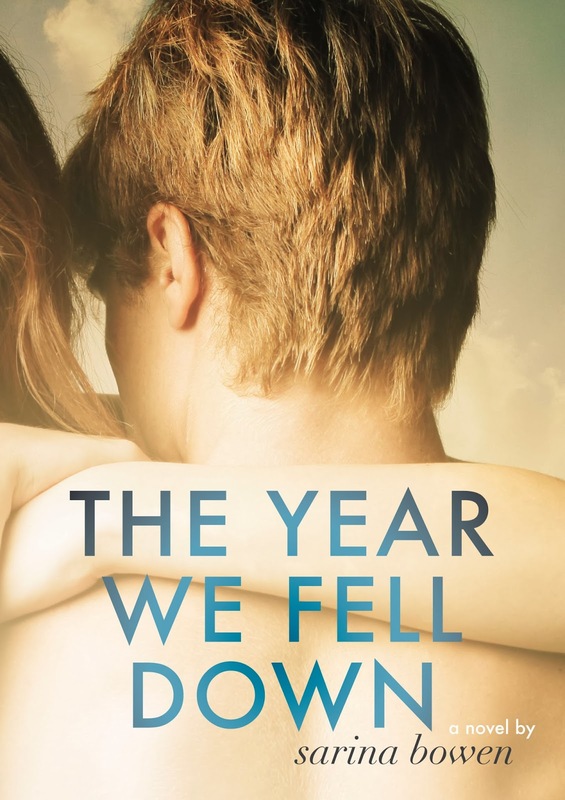 By the end of the first book we were left with a bit of a mystery, not quite a cliffhanger but there was a moment that you knew something big was about to happen for Stella and yeah, it sure does! These two characters are due for some changes and breaks and I often wondered if either of them would ever get one. My heart caught in my chest one moment and wanted to break the next. Then I’d be swooning and end up wanting to wring someone’s neck minutes later, which makes it easy to say that Heidi writes more than just stories about bad boys and rock stars. She writes about her set of famous characters/ people behind the stage and glamour and gives them a life other than what their public sees. This makes them feel more like real people the more you read. 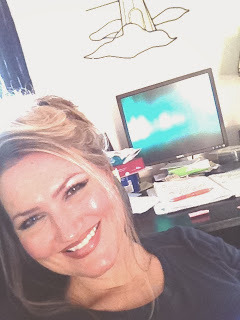 I love Heidi’s writing, stories and characters. Getting lost within the pages of her books is easy and before you realize it you’ve been drawn in. 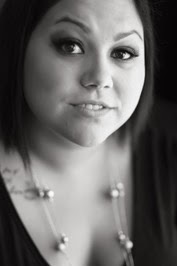 I’m a huge fan of hers from the first book and now with the second I can’t wait to read the third so I hope she writes faster because I can’t wait to have an in-depth meeting with the next Tattoo Thief band member to receive his own book – Jayce. I would highly recommend this series to anyone who loves a story/series about a rock star bad boy with some bumps and bruises from his past. To anyone who loves a well written story that you can get lost in and a story that’ll have your emotions running all over the place. I’d tell you to look no further and start with Tattoo Thief before reading Tyler & Stella’s story because while these two are stand alone titles they are about one huge rock band and all the characters are intertwined with each other. I know you’ll love these titles too, happy reading! Synopsis: **Warning**This book is intended for a mature reading audience and contains adult language and themes. I absolutely LOVED the cover for the first book in this series, When I Break and Kendall has another amazing cover for this title too! Holy HOT STUFF! Love it! Looking forward to reading both of these books. Blog Tour Review - Some Like It Wild By: M. Leighton + A GIVEAWAY!!! Review: 4.5 Stars - 4.5 Stars to M. Leighton and her latest release – Some like It Wild, the second book in her Wild Ones series! With two characters who couldn’t be more different from one another - a small town preacher’s daughter and the town bad boy who likes to take chances and feel alive in everything he does – they find out that sometimes opposites have things in common once you get below the surface and look past the status of birth or the shadow of a town where everyone knows you. Laney Holt has always been good. Doing the right thing is what she knows and what she’s worked hard to always maintain. She knows what she wants – her very own happily ever after and she thinks she’s found just the right guy to make those dreams of getting married and having babies happen. However a betrayal by two people she believes she’s closest to cut deep and she takes an opportunity to leave and head home to get away from everything that’s hurt her and try to figure out what’s next. Enter Jake Theopolis, town bad boy, with scars from his past that run deep. He’s an adrenalin junkie, firefighter and brother to Jenna from previous installments of the series. He also knows his way around a roasted marshmallow but you’ll have to read the book to know what I’m talking about… wow! Hot! And I DID love Jake. He might be a bit damaged but holy cow is this boy freaking amazing and yum-o! I think he’s one of my favorites from all of Michelle’s leading men. The two come to an agreement of sorts that leads Laney to live a bit more on the dangerous side and for Jake to question some of the choices he’s made over the years. One of the main things that you can always count on when it comes to Michelle’s books is the characters are always layered. They are always dealing with deeper rooted issues that take time to sort out and give the reader a chance to know and understand her characters on a larger scale. There’s depth and growth that once you finish reading you feel as if you know them as if they are real people in your life. At least for me that’s how I always feel. 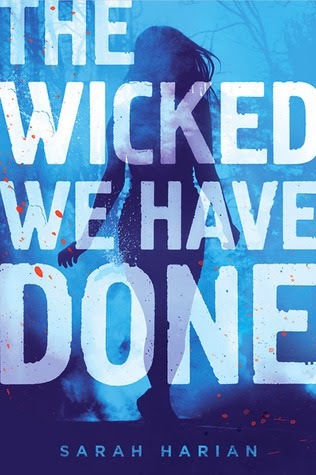 I always come to the end of a story quicker than I realize and I’m always a bit sad when I finish one of Michelle’s books, yet I’m always happy that I was in another one of her worlds for a bit. She knows how to write amazing characters and stories and it’s for those two main reasons that I continue to come back for more. Michelle will always be an auto-buy/go-to author because I can count on quality. I highly recommend this title to fans of this author, or if you’re looking for a great place to start with her books, I suggest starting with this series! While they can be read standalone I wouldn’t suggest it because each title might focus on a different set of characters, they are all intertwined within the same world. So, start at the first title in the series – The Wild Ones. Don’t forget about the novella – Wild Child and then Some Like it Wild comes next. The third installment in this series, There’s Wild, Then There’s You comes out later this year. Trust me, I think you’ll love them. Enjoy! ONE Winner will receive a copy of Some like It Wild!!! 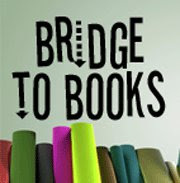 -This book was provided by the publisher for this giveaway. The winner will receive the copy directly from the publisher. Are you all ready for the excerpt and teasers for you today from Melody Grace's UNCONDITIONAL, because holy cow!! UNCONDITIONAL is a contemporary romance, and it is the most heart-wrenching and latest novel in The Beachwood Bay Series. It is being released on March 18th, 2014, so add it to your TBR pile now! Synopsis: Fall in love with Beachwood Bay in Melody Grace’s USA Today and internationally bestselling series! Synopsis: Evalyn Ibarra never expected to be an accused killer and experimental prison test subject. A year ago, she was a normal college student. Now she’s been sentenced to a month in the compass room—an advanced prison obstacle course designed by the government to execute justice. Synopsis: Bones meets Fringe in a big, dark, scary, brilliantly-plotted urban thriller that will leave you guessing until the very end. Another three books this week. And I picked some that are about to release which is always great when you don't have much longer to wait for a book. One YA and Two "New Adult" this time around. We have childhood best friends who can't stand each other... or? And two that deal with killers, a deadly obstacle coarse, secrets and so much more. YES PLEASE to all THREE! What do you think of this weeks picks? If you had a chance to read one now, which one would you choose and why? HUGE GIVEAWAY! Up for grabs? 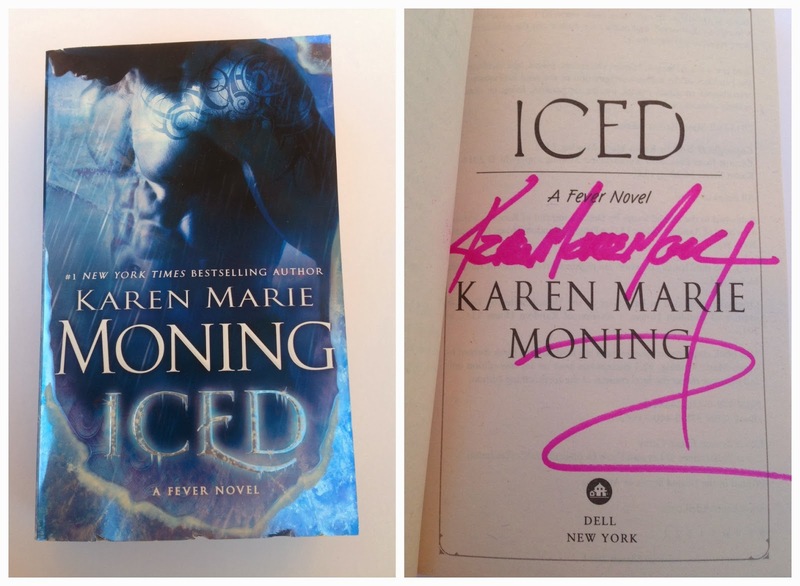 A SIGNED Copy of ICED By: Karen Marie Moning!!! Hello all! 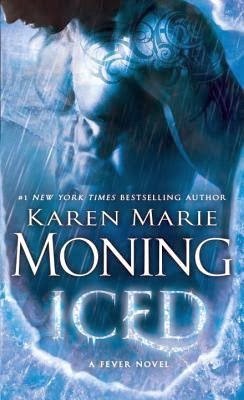 Today I'm here to help celebrate the paperback release of Iced By: Karen Marie Moning!!! It's an adult title in a spin off from her epic FEVER Series and I was lucky enough to be asked to host this amazing giveaway! I wish I could keep this for myself! I mean a SIGNED copy!!! WOW! So, without further ado, Happy Paperback Release Day Karen! And good luck to everyone who enters!!! Synopsis: #1 New York Times bestselling author Karen Marie Moning picks up where Shadowfever leaves off with Iced, the first book in her hotly anticipated new urban paranormal trilogy set in the world of the blockbuster Fever series. 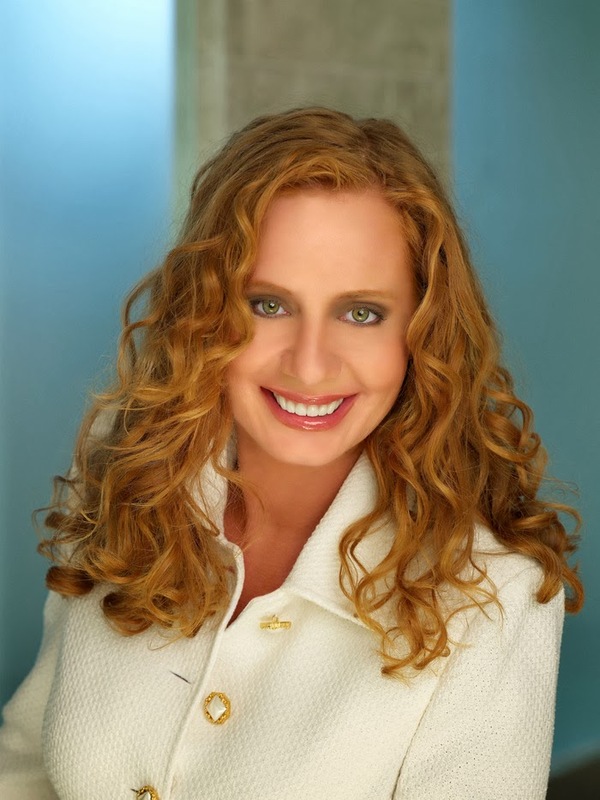 Karen Marie Moning (rhymes with 'awning') is a # 1 New York Times bestselling author of 15 novels, including the RITA award-winning Highlander novels and the internationally bestselling urban fantasy "Fever" series. Her books have been published in nearly 40 languages, and her events draw fans from all over the world. Moning graduated from Purdue University with a Bachelor's degree in Society and Law. 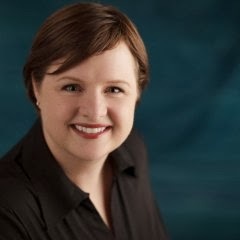 Before becoming a full-time writer, she worked as a bartender, a computer consultant, and an insurance specialist. Moning began her career writing paranormal romance set in Scotland but as she became increasingly fascinated with Celtic mythology, she switched genres to Urban Fantasy and location to Dublin, Ireland, so she could focus on the Tuatha de Danann, or Fae--an ancient race of immortal beings who have lived secretly among humans for millennia. Moning recently completed a graphic novel for Del Rey, featuring an original story about MacKayla Lane and Jericho Barrons, and the first installment in a new Fever World trilogy, ICED. She is under contract with Random House Publishing for two additional books set in the Fever universe. You must be at least 17+ years old to enter. This giveaway is open INTERNATIONAL!!! A HUGE Happy Release Day to White Hot Kiss and author Jennifer L. Armentrout!! + EXCERPT & A HUGE GIVEAWAY!!! I am SO incredibly excited to participate in the Release Day Launch for Jennifer L. Armentrout's WHITE HOT KISS! 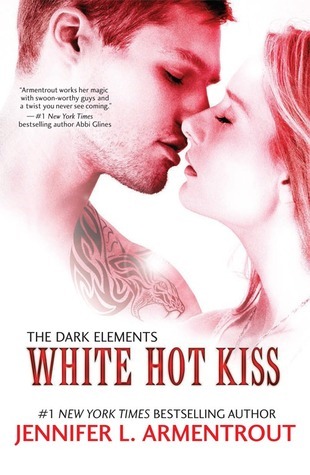 WHITE HOT KISS is a young adult paranormal romance being published by Harlequin Teen TODAY! This is the first full-length novel in The Dark Elements Series and one you'll want to grab as soon as you finish reading this post. ABOUT WHITE HOT KISS: One kiss could be the last. Now that you have a taste for this fabulous new series, here are the details for the AMAZING international giveaway!!! Gotta love a cover with a tattoo'd guy on the cover! Okay, I have to admit that I haven't read this series yet but I DO have a couple of the books on my Kindle so I'm looking to read them soon because this book just sounds pretty amazing! I can't wait to check it out! Before we get to this weeks Book Wars, we have a winner to announce. The Book Wars winner for Shiver is... the US Cover!!! Thank you to everyone who voted for both books, and for picking a winner. Synopsis: Alone in the world, Sophie dreams of being someone special, but she could never have imagined this. On a school trip to Russia, Sophie and her two friends find themselves on the wrong train. They are rescued by the beautiful Princess Anna Volkonskaya, who takes them to her winter palace and mesmerises them with stories of lost diamonds and a tragic past. But as night falls and wolves prowl, Sophie discovers more than dreams in the crumbling palace of secrets. After reading Theology at Cambridge University, Cathryn Constable went on to work in magazine journalism, writing for Vogue, W, Elle Decoration, Elle, The Independent, Tatler and The Sunday Times, before realising her dream of blending a love for all things Russian with a story for children. Her magical and enchanting debut novel is called The Wolf Princess. 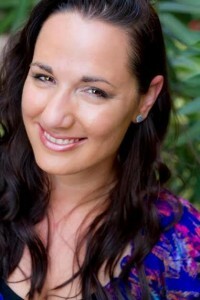 Cathryn is married with three children and lives in London. Cathryn I love both the British and the American covers for The Wolf Princess: although very different in tone, they both do an effective job of describing the elements of the story. The British cover gets admiration for being purple and sparkly (I haven’t met a girl who hasn’t loved it). But the wolf on the American cover is so fluffy and wise, I can’t imagine that anyone could walk past that book and not want to pick him up! There was a very beautiful cover for the hardback edition with a wonderful paper cut out detail which made me think of an old-fashioned fairy story. I loved that one, too. Lisa This week’s book is new to me and when looking at them side by side they have some similarities to them. The girl, the snow, the wolf... This is a hard choice this week but I think I'm going to choose the US version only because it looks a bit more ethereal, more fantasy and as Michelle mentions dreamlike as this title projects. US cover has my vote. Michelle This is such a difficult choice fro me this week. I have the UK version and what you don't see in this picture is the purple edging around the pages which fit the cover perfectly. However I do like the US version for the more mystical feeling it gives off and how more dreamlike it feels, like what you see doesn't feel real. After much deliberation I am going for the UK cover this week, and that is purely because I own this copy and know how amazing it looks in real life. VOTE for YOUR favorite cover of The Wolf Princess NOW! Happy Release Day to Jessica Gibson and her latest release - The Harder I Fall!!! 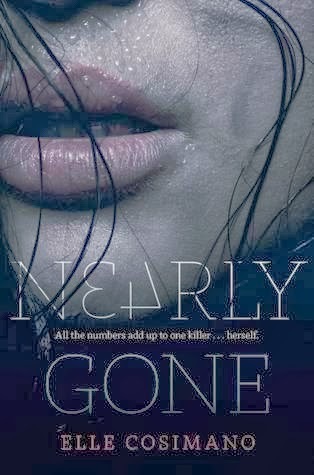 Synopsis: Becca Langer was not a normal girl, she didn't have normal girl problems. For most of her life, she’s had to take care of herself, her younger brother Chad, and her drunk mother. She’s lived under the shadow of what her father did when she was ten years old. Forever branded by his actions. Come to the Facebook Party Release Event! Jessica and Matt live in Southern California and have a serious addiction to reality tv shows like Pawn Stars and American Restoration. They have one son and hope to add to the family in the near future. 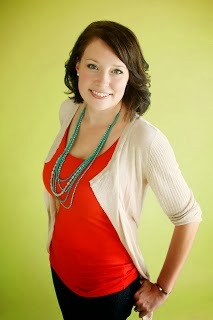 Aside from writing, she runs an online event planning business called the Release Day Diva. 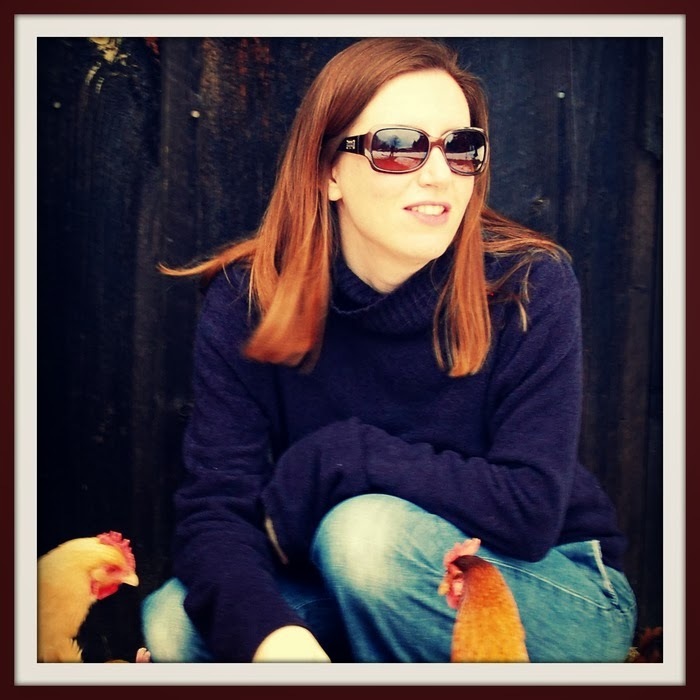 In addition to novels, Jessica writes and maintains the blog Book on the Bright Side. 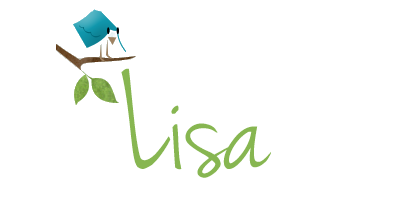 Keep up with Jessica and her latest releases and events on her blog. Hey everyone! 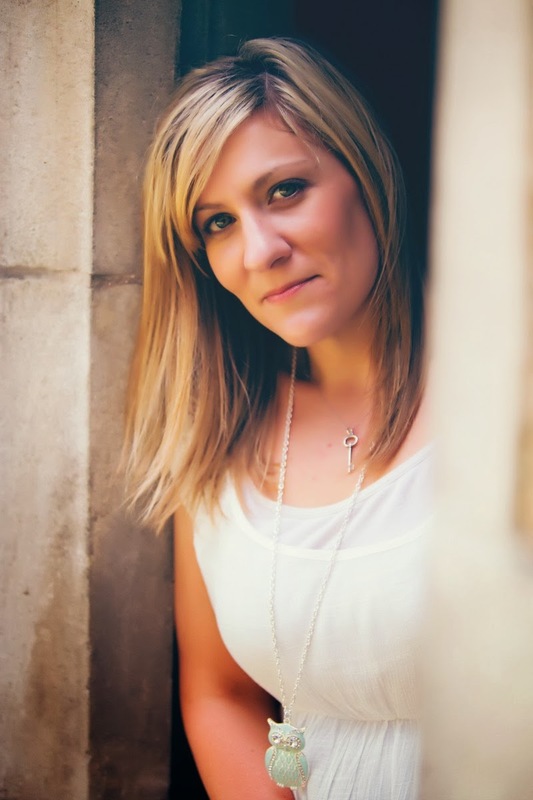 Today I'm SUPER EXCITED to spotlight and fangirl over an amazing author - Toni Aleo! 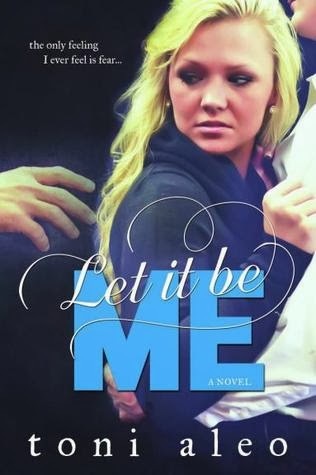 She writes one HECK of a team of hockey players in her Assassins Series and then has tackled some strong issues in her stand alone title - Let it be Me. I have loved the Assassins Series when they were originally self published and couldn't have been more happy for her when she was picked up by LoveSwept/Random House. If you haven't read anything by Toni I just have to ask... What the heck are you waiting for? Synopsis: Opposites do more than just attract in Toni Aleo’s latest Nashville Assassins novel about a very bad boy and the good girl he can’t resist. Synopsis: Do you see that woman there? Guest Post from TWO of my Favorite ASSASSINS!!! Want to know what the Assassins would say to their Valentine on Valentines Day? Lucas: I told my valentine that there was a bed upstairs, go get naked. Erik: I bought my girl a spa day, then I got us a babysitter and I don’t plan on leaving our room until we have to go get the little guy.